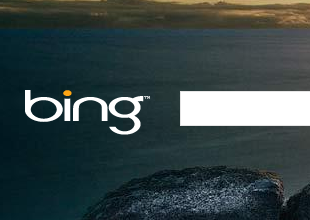 Microsoft rolled out a new version of its Bing search engine with new features aimed at weaving together the experience of Internet search and social networking. There is, however, one eyebrow-raising new Bing feature Microsoft was testing that it decided not to release to the public. Last week, when Microsoft gave me early access to the new version of Bing, I noticed a message in the search bar of the product that indicated I could share all of the search terms I entered on Bing with friends in my Facebook social network. I did not activate the feature. Sharing Internet searches in an identifiable way with Facebook friends seemed downright creepy to me, not to mention a potential source of incredible irritation to people I am connected with on Facebook. Who needs to know when I’m looking up the store hours for Home Depot or figuring out whether I should medicate my dog? When I asked Microsoft executives about it, they seemed somewhat embarrassed that I had found the feature. But they described the “broadcast mode” feature as an experiment and then only as an opt-in feature. They reassured me that it would not be in the final version of the product. That seems to be true. Rebecca Lieb, an analyst at the Altimeter Group whom I spoke to for an article on the new Bing, told me she discovered the search-sharing feature too and said it was wise for Microsoft to get rid of it. “I was initially very concerned,” she said.